There’s a lot to cherish about fall. 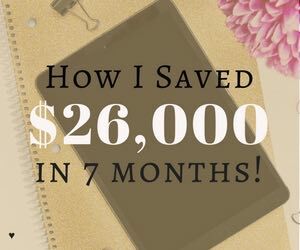 Not only do you get to pull out your favorite coat and drink hot cocoa without sweating, but you also get to enjoy the changing of the seasons. 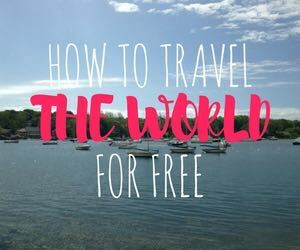 And just because you’re inside, doesn’t mean you can’t enjoy the fall. 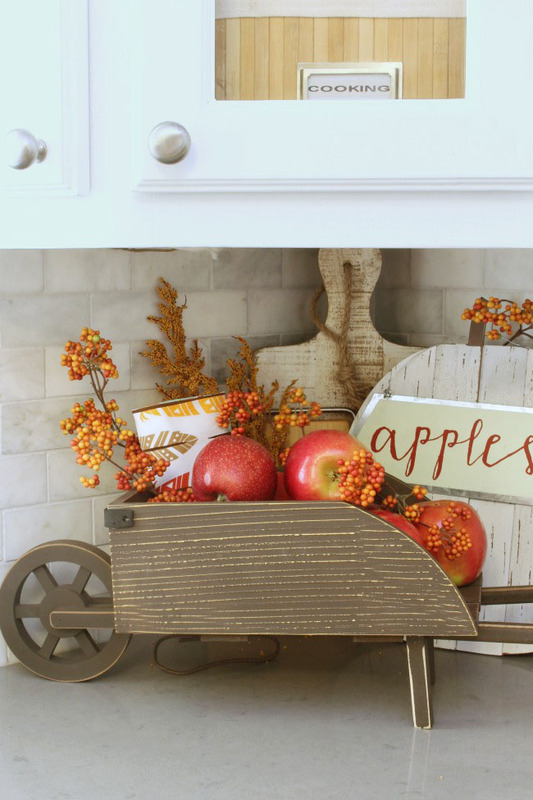 It’s pretty simple to make your kitchen feel like fall when you just change up your towels. 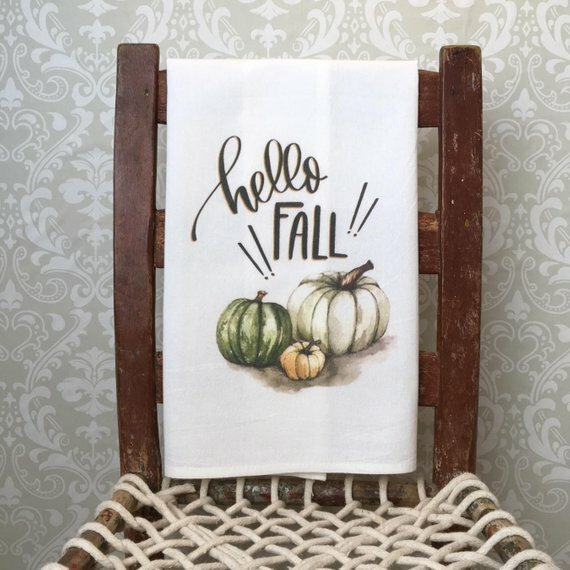 This “Hello Fall” tea towel says it all. 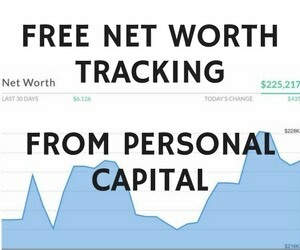 You can find it here on Etsy. Here’s a tasty DIY decoration. A fall fruit basket. 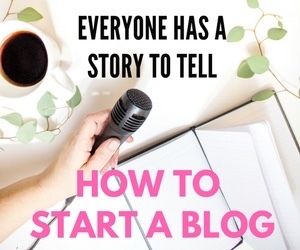 The Clean and Scentsible blog shows you just how easy it is. Fall wreaths aren’t just for the front door, but they can also be used to decorate your windows and give your kitchen that fall feel. Love, Create, Celebrate shows you how to make a beautiful autumn wreath. 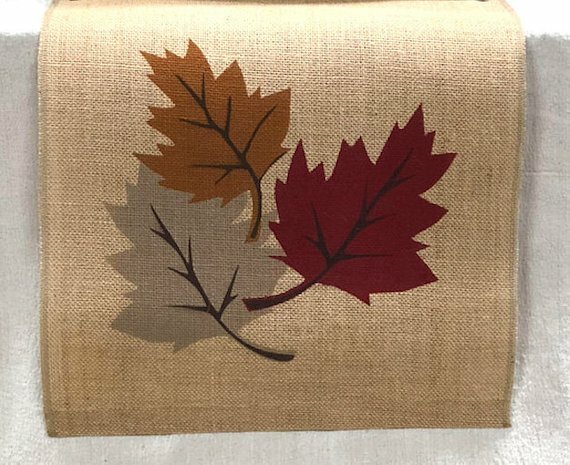 Adding a fall themed table runner is a really simple way to make your home feel a little more like fall. You can find this table runner here on Etsy. A few small pumpkins and a handful of fake wheat and you’ve got yourself a gorgeous fall centerpiece. The Shabby Fufu blog shows you how to make a centerpiece that just screams fall. 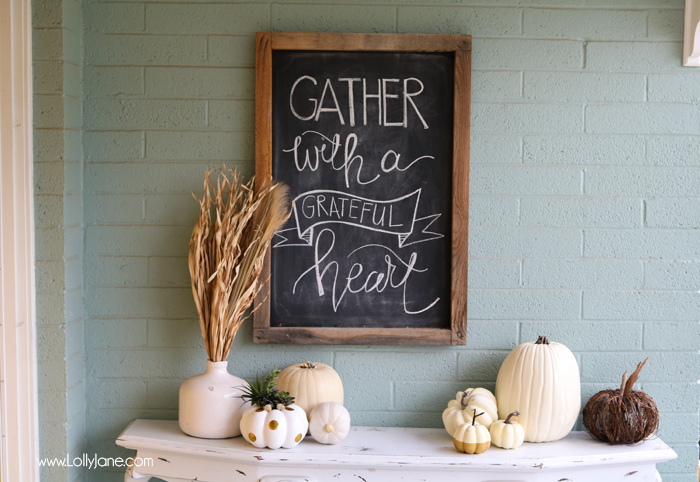 A chalkboard is a great addition to your kitchen because you can use it to share messages with your family, add a little decoration to the wall, or both. 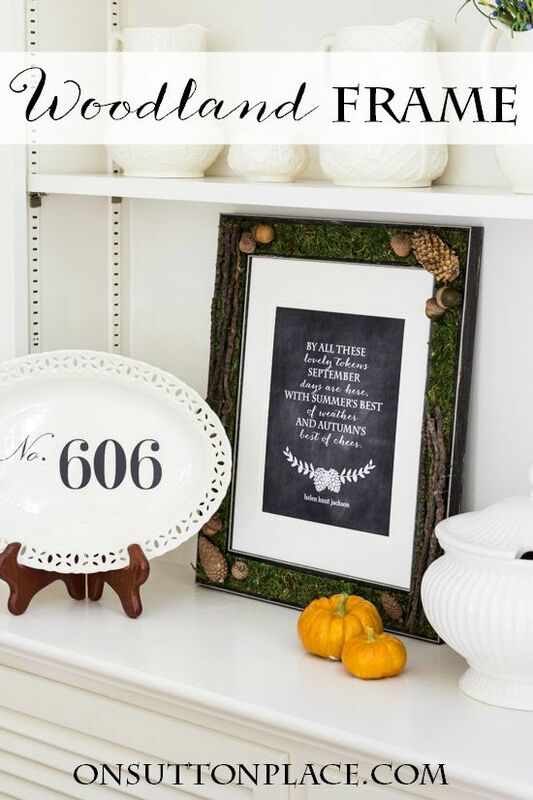 Lolly Jane offers you a printable outline so you can add this fall message to your kitchen. 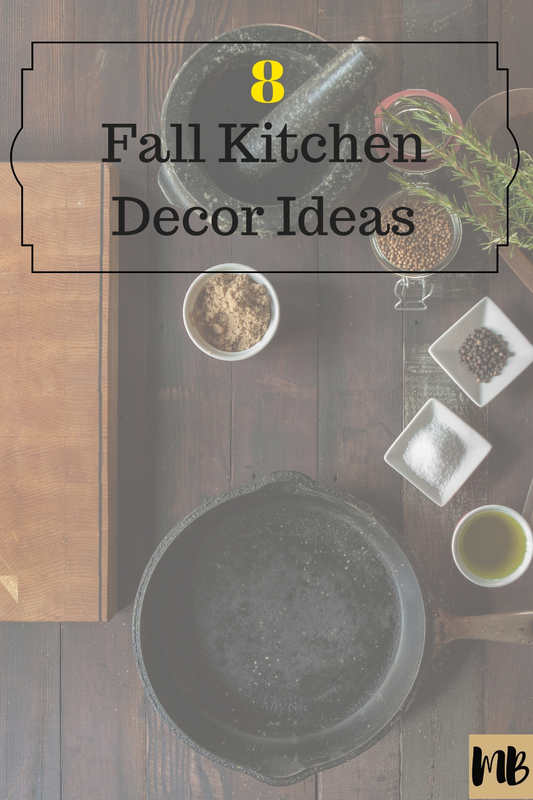 You don’t need to change your wall hangings to add a fall feel to your kitchen. 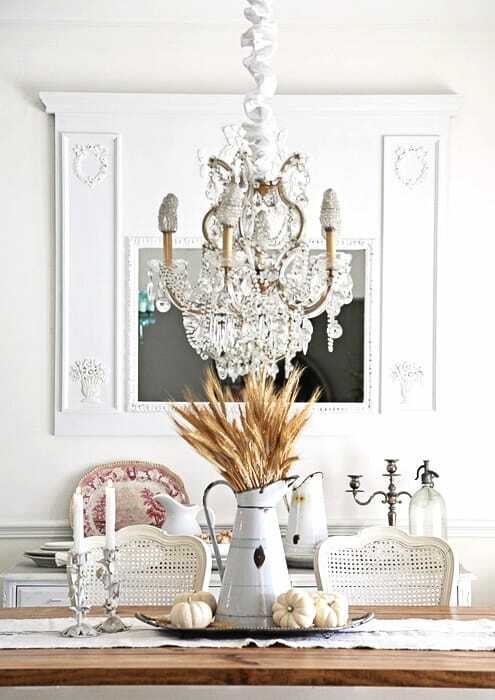 On Sutton Place shows you how to add a woodsy feel to your current picture frames. Sometimes it’s not what you see that makes it feel like fall, but what you smell. 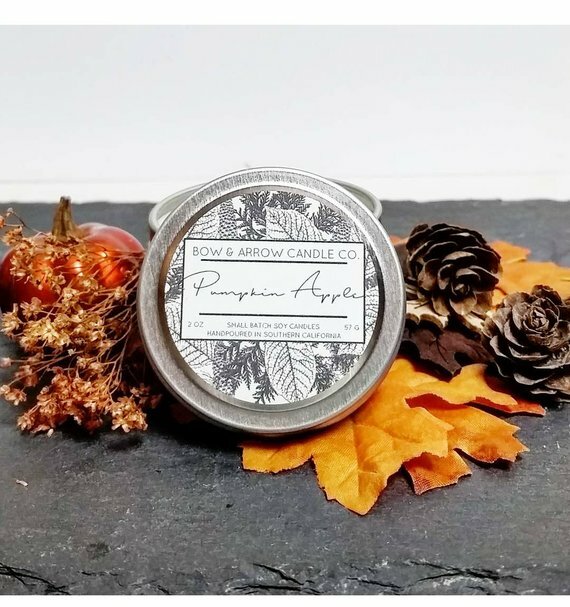 A pumpkin apple candle may be all it takes to really get you into the spirit of fall. Plus then your kitchen will smell like pie! 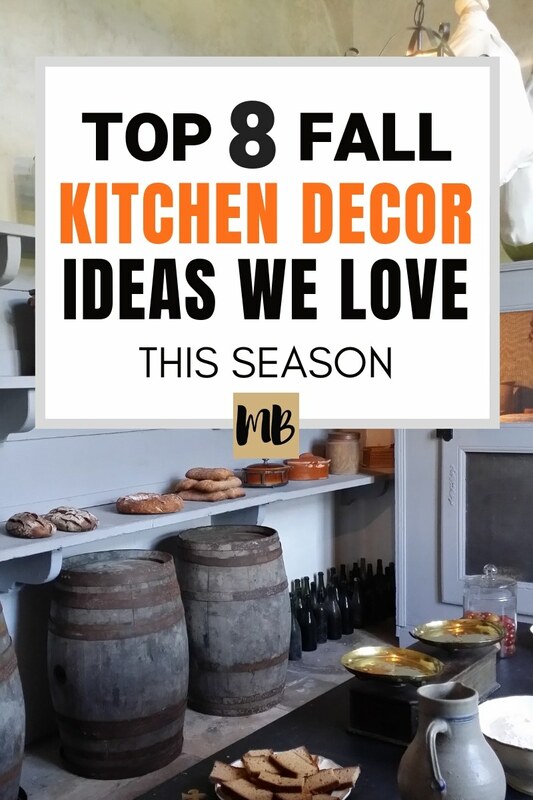 Any fall kitchen decor ideas you love?